We’ve all felt anger. It can range from a minor annoyance to full-fledged rage. Anger is a normal human emotion. When it spirals out of control, it can lead to problems at work and with personal relationships. Uncontrolled anger can leave you at the mercy of an unpredictable and powerful emotion. If you have a problem with anger, you probably already know it. Do you find yourself acting in ways that seem out of control and frightening? Not everyone shows their anger in a loud spectacular manner. Sometimes they are just chronically irritable and grumpy. They don’t curse and throw things. They sulk, or get physically ill.
Those who are easily angered have a low tolerance for frustration. They feel that they should not have to be subjected to inconvenience or annoyance. People have used this myth as a license to hurt others. Blowing off steam actually escalates anger and aggression. It is preferable to find out what it is that triggers your anger and then to develop strategies to keep those triggers from pushing you to an outburst. Anger shows us something vital about our emotional life. It is an indicator: something needs attention and investigation. Like other emotions, anger is accompanied by physiological and biological changes. 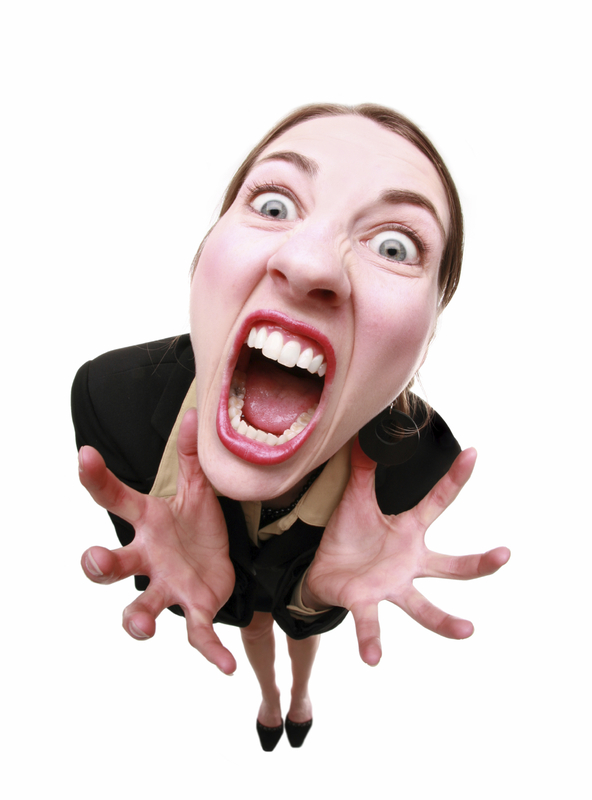 When you are angry, your heart rate, blood pressure and adrenaline levels rise. Anger can be caused by external and internal events. You could be angry at a specific person or event. Or, your anger could be caused by worrying about personal problems and bad memories. It is instinctive to express anger aggressively. Anger is an adaptive response to threats. It inspires us to fight and to defend ourselves. It is part of our survival instinct. Should I Suppress My Anger? Should I hold it in? If you choose to do this, anger will eat away at your insides. Your ability to express finer emotions will be compromised and you will suffer with ill health. Anger can be suppressed, and then converted or redirected. The danger of not allowing outward expression is that your anger can turn inward upon yourself. Unexpressed anger can lead to pathological expressions of anger, such as passive-aggressive behaviour. The passive-aggressive individual gets back at people indirectly, without telling them why, rather than confronting them head-on. These people seem cynical and hostile. They put others down and criticize everything. They aren’t likely to have successful relationships. Say what you are feeling. Expressing your angry feelings in an assertive—not aggressive manner can be a healthy way to express anger. Be mindful to make clear what your needs are, and how to get them met. Act assertively without being pushy or demanding. Calm your anger using relaxation and meditation techniques. These methods can work wonders if you commit to learning them and practice them regularly. These techniques can teach you a lot about yourself. They can help to eliminate the source of your anger. You can calm down from within. This means not just controlling your outward behavior, but also controlling your internal responses, taking steps to lower your heart rate, calm yourself down, and let the feelings subside. 1. Breathe deeply from your diaphragm. 3. Visualize a relaxing experience from your imagination. Transform your anger. Use the power of anger to fuel positive change. Ask the question: “why am I angry?”. Explore the question until you arrive at a deeper understanding. Be careful of words like “never” or “always” when talking about yourself or someone else. These words alienate and humiliate people who might otherwise be willing to work with you on a solution. Remind yourself that getting angry is not going to fix anything and it won’t make you feel better. It may make you feel worse. Anger, even when it’s justified, can become irrational. Use logic on yourself. The world is “not out to get you”. Why do you feel a need to demand fairness, appreciation, agreement and a willingness of others to do things your way? There is a western cultural belief that every problem has a solution. This isn’t always the case. Be patient if an answer doesn’t come right away. When we are angry we tend to jump to and act on inaccurate assumptions. One should be mindful to slow down and think through their responses. Listen carefully to what the other person is saying and take your time before answering. It’s natural to get defensive when you’re criticized. Seek to understand the message that’s underlying the words. Question the speaker to get clarification. Sometimes it’s our surroundings that give us cause for irritation. Give yourself a break. Make sure you have some personal time scheduled throughout the day. You can’t eliminate anger. Life is filled with frustration, pain, loss, and the unpredictable actions of others. That you can not change, but you can change the way you let events affect you. If you have an understanding of the pitfalls of anger, you will be on the road to happiness.